LinkedIn has over 230 million members, 3.2 million company pages, and infinite ways to connect. But if your profile isn't robust and engaging, you're missing out on massive opportunities to be seen and heard. Try these simple but essential tips for getting the most out of your LinkedIn page. 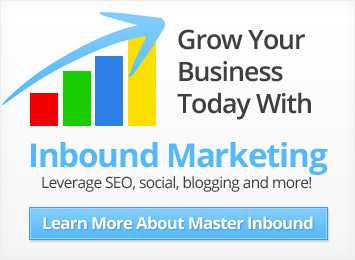 Landing pages are an essential part of Inbound strategies. Without them, our communication lacks both context and clarity for potential customers. The good news is that optimized (read: effective) landing pages are within reach regardless of your budget, reach or time constraints. You need 7 critical components, and I've got examples of how to rock them here. Every year, Nielsen conducts a global survey assessing consumer trust in different mediums of advertising and messaging. And every year, marketers anxiously await the results to uncover what people are saying about the way we do our jobs. Nielsen posted a great summary graphic of their 2013 findings a few days ago, and the results are both telling and potentially impactful for your strategy. SEO is complicated, right? Somewhere between header tags and meta descriptions and good versus bad backlinks, it's easy to get lost. You may be tempted to throw your hands up and accept what ever rank Google wants to give you. But wait just a minute, because I've got an infographic that will help you understand SEO in an easy-to-digest format (pun intended). It's no secret that visual content on social media drives engagement, but we're not all professional photographers or editors. I'm willing to plead guilty to a few instances of editing images in Paint, but I'm also happy to report that we don't have to be limited to such basic technology. How? With a handful of free photo editing tools, waiting for you to leverage them for creating exceptional visual content! There are a multitude of intended uses and unique audiences associated with the highest-trafficked sites in the world. But despite the different experiences they offer, the most popular domains on Earth have a few traits in common - and your site can incorporate them, too. For many small business owners and marketers, writing a blog can be quite time consuming. That’s not a reason to give up on blogging, rather it’s your job to try and find ways to repurpose and maximize each blog’s impact on your business. In today’s blog, we will be looking at some ways to use your blogs throughout your business to maximize their impact and really create some amazing results. What is an Exclusionary Buyer Persona - and How Do I Create One? Buyer personas are the absoulte heart of Inbound efforts - they dictate all aspects of how we position, promote, and foster advocacy for our brand. But there's one kind of persona who doesn't build our business, and who we actually want to avoid targeting. These are what we call exclusionary personas. Here's a doozy: according to a survey by Merchant Warehouse, 72% of internt users just as likely to trust a review they found on Yelp as they would a review from someone they know personally. The age of digital word of mouth isn't upon us, it's been here - and if your business doesn't get on the local train, you'll be left at the empty station. Email is a critical component in the Inbound methodology, but you can't leverage it's potential if your list is paltry. The good news is email list building doesn't have to be a dreaded task and can even be fun... almost as much fun as the heroes in this picture are having! Here are a few tips to get you moving toward epic status. One of the most critical principles of web design is also one of the easiest to understand: to drive business from your website, you have to create one people enjoy using. To determine if that's being accomplished, you need to understand bounce rate. And contrary to this blog image, I'm not talking about bouncy balls. ComScore just released July 2013 online usage numbers, and the statistics are staggering. Last month alone, 187 million Americans watched 48 billion online videos (and only 40% of them were ads). With this kind of reach in mind, it's no surprise that smart brands are leveraging video as a marketing asset. But where does one begin? Modern marketing success hinges upon your company's ability to position itself as not only desirable, but also consistently helpful and useful to prospects and advocates alike. I've done a little looking around to find the brands making the most of their online participation, and boiled their habits down to four actionable tips you can leverage to start putting your brand to work. 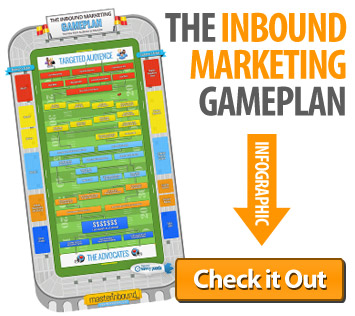 Inbound is all about providing resources and value to prospects, leads, and customers. A solid understanding of the Buyer Lifecycle and it's stages is critical to optimizing these experiences. Big news: Mobile internet traffic has grown by 30% in the last year, up to 1.5 billion users worldwide. Devices for internet access are on the rise as well; there are 135 more average screen resolutions today than just 3 years ago. With these rapid changes taking place, it's no suprise many sites are turning to new display formats. We see the diversification of internet experiences handled in two design formats: mobile and responsive.